Kassel says the Fairbanks North Star Borough and all other Alaska municipalities have for decades relied on the state to pay for building and maintaining local roads, schools, libraries and just about all other public structures. 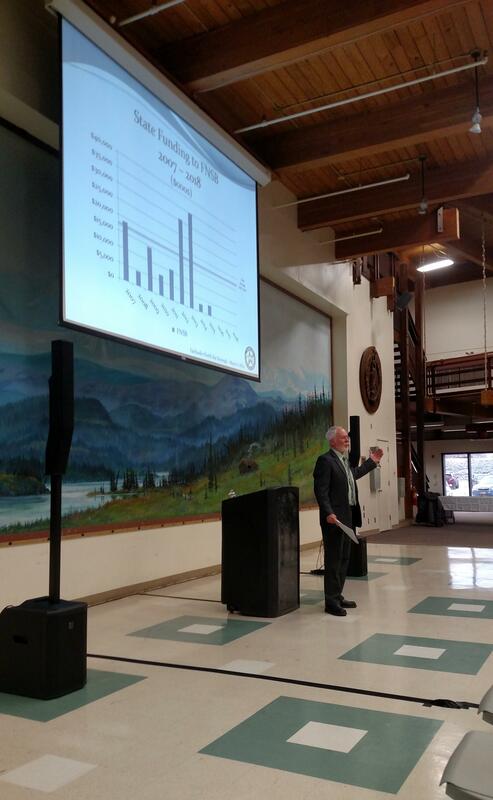 Kassel used slides during his talk to show the dropoff in state funding for building maintenance and replacement over the past three years. But the state’s been cutting that funding since the price of oil began to nosedive four years ago. So much so that Kassel says he expects little or no funding for either maintenance or capital projects in the years ahead. Kassel told about 130 people who turned out for the first of two meetings at the Pioneer Park Exhibition Hall Wednesday that borough officials have tried to lessen the impact of the steady decrease in state funding by juggling funds and finding operational efficiencies, while lobbying lawmakers and the governor to restore at least some funding. The mayor says the backlog of some $389 million in deferred maintenance and capital-project spending over the past 10 years, and the need to spend more than a billion dollars over the next 20 years to replace the borough’s aging structures – and the unlikelihood of state officials solving the problem anytime soon – all make it necessary for local officials, and the residents they serve, to take matters in their own hands. 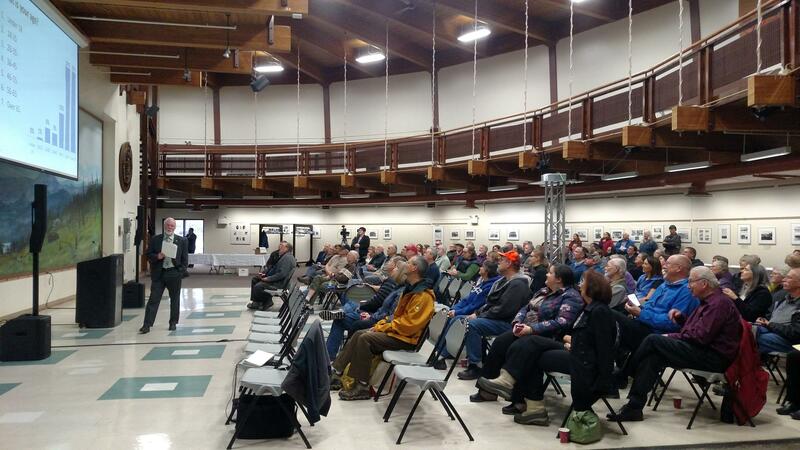 About 130 people showed up at the first Sandbox Group Meeting at Pioneer Park's Exhibition Hall. The second meeting, which drew about 70, began at 6 p.m. and ended after 10, due to an extended question-and-answer period. Which brought Kassel to the inevitable question: how to pay for all that work? 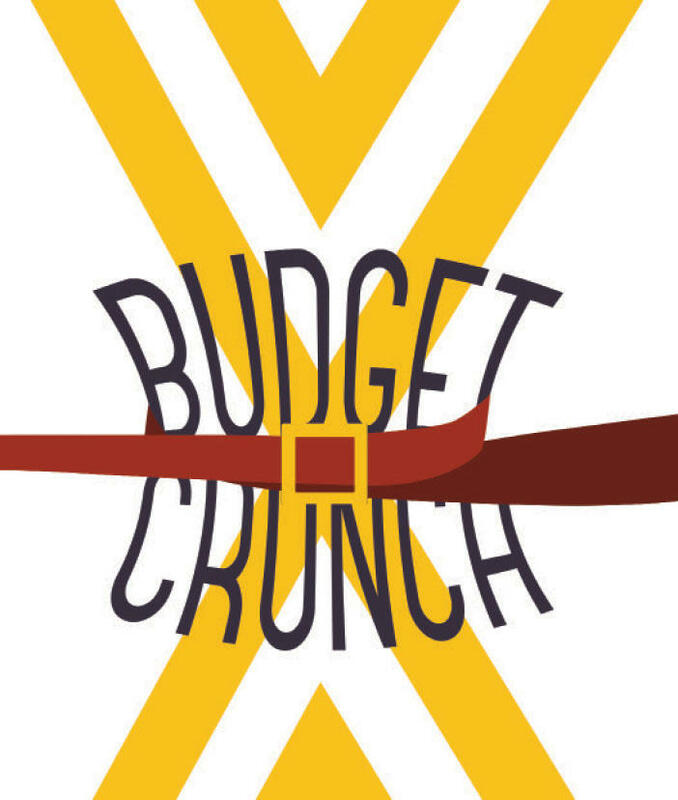 The mayor says budget cuts are inevitable, but he also says borough officials must consider boosting revenues and look at other strategies, such as issuing more bonds to finance construction. 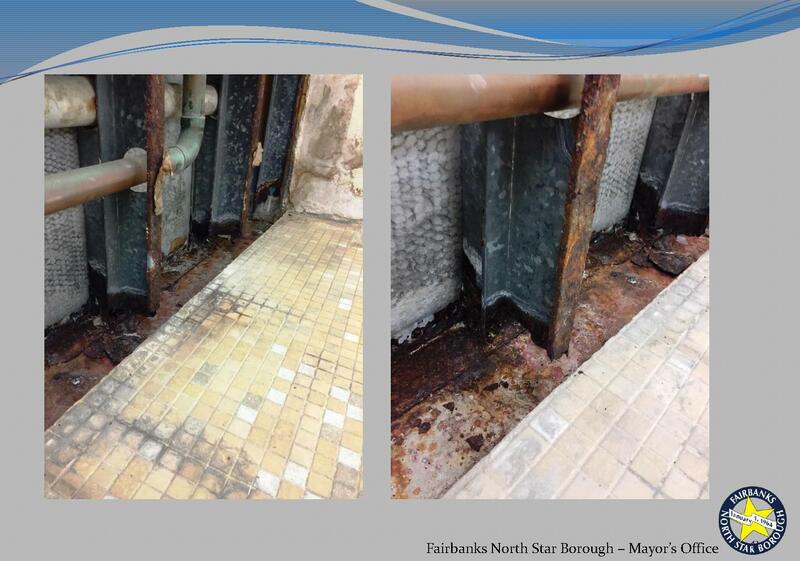 Kassel's slideshow include photos of rust and other water damage workers found when they knocked out a wall while conducting repairs at Hamme Pool. The latter alternative appealed to Jerry Rafson, who sat in on the noon meeting. Bob Hildebrant says he favors both cuts in services, such as closing one of the borough’s three pools, and revenue increases. As Kassel talks in the Exhibition Hall about the need to catch up on maintenance for borough facilities, water drips from a hatch in the ceiling near the entrance to the Alaska Centennial Center for the Arts at Pioneer Park. The building was constructed in 1967. Hildebrant says he opposes the borough tax cap, a voter-initiated limit on the amount of revenue the borough can collect and that must be reaffirmed by voters every two years. He says he’ll vote against it in next year’s local election. Linda File, who also attended the noon meeting, says she strongly believes the borough must boost revenues. 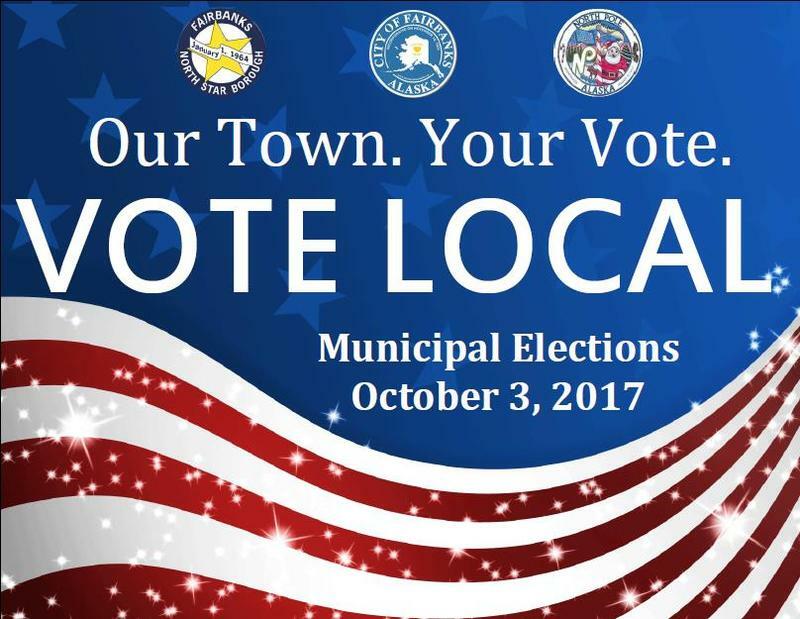 File says voters should lift the borough’s tax cap, and she says she’d pay higher user fees and a sales tax, as well as a state income tax. “I feel like it’s a citizen’s responsibility to contribute,” she said. Kassel says he’ll convene more of the town hall-like meetings in the near future to talk with residents about other fiscal issues as he and his staff begin work on the coming fiscal year’s budget. Editor's note: Borough officials have posted the slideshow Kassel used in Wednesday's meeting to help explain the need for maintenance and capital-project funding. 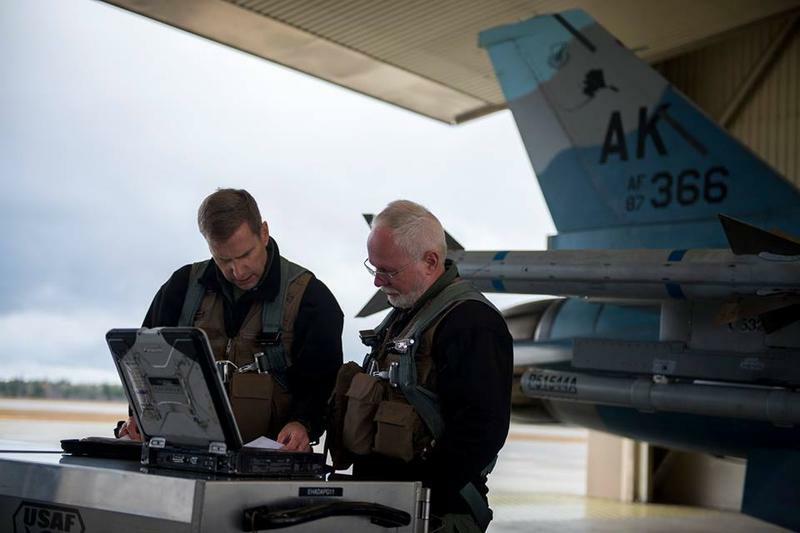 Fairbanks North Star Borough Mayor Karl Kassel says the buildup associated with two squadrons of F-35 warplanes that’ll be coming to Eielson Air Force Base in a couple of years will offset decreases in population and state funding that are both being driven by Alaska’s recession-wracked economy. 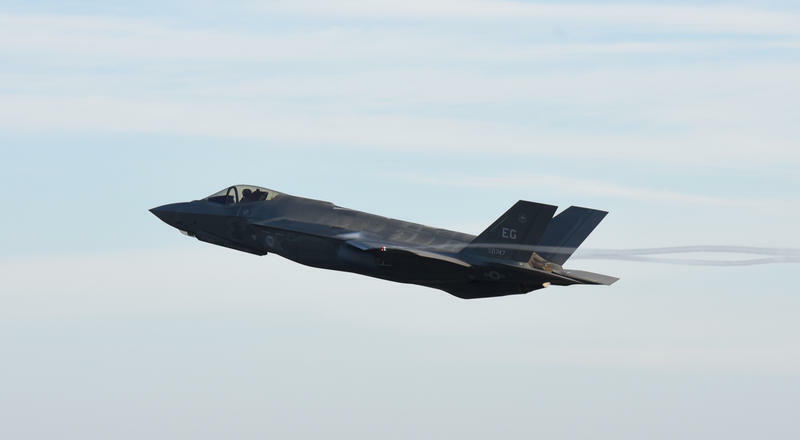 More than 5,000 people may come to the Fairbanks area over the next four years as part of the move to base two squadrons of F-35 fighters at Eielson Air Force Base. The latest estimate announced Monday is well above the previous estimate of 3,500. The bigger population increase is expected to place a greater burden on local services. 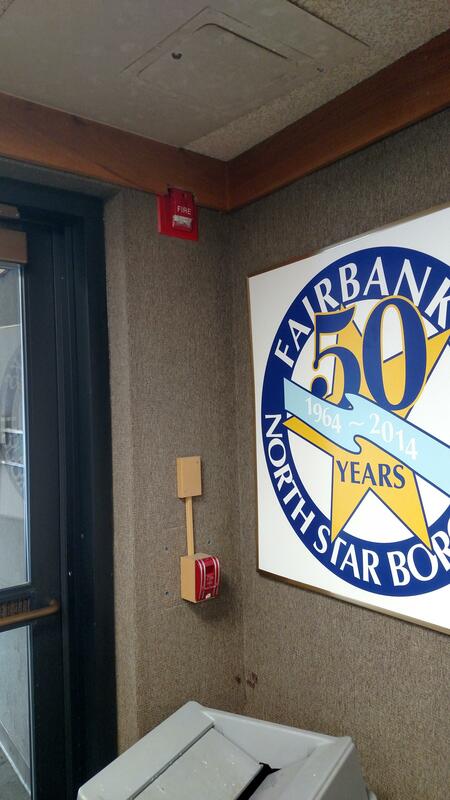 The Fairbanks North Star Borough will open its long-awaited Central Recycling Facility Sept 1 in an area just north of the Johansen Expressway.